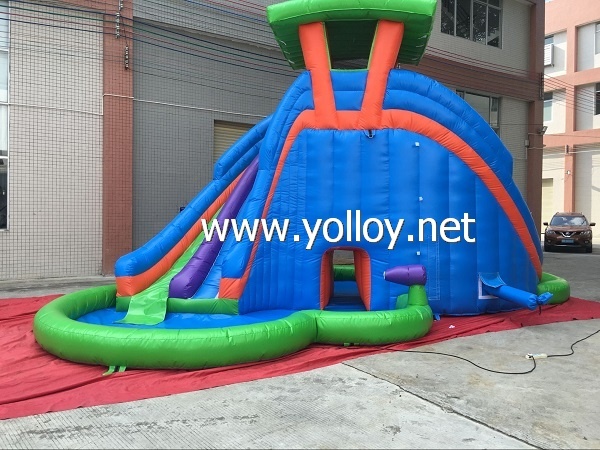 Let us to introduce our bule color summer theme inflatable water slide for you, this inflatable slide help them stay cool in whole summer.It is very excited and interesting using for the adults and the kids.Players can climb on, sit on, and walk-on the water playground. The material we made it in commercial grade reinforced PVC tarpaulin. Custom making can be available.Such as bespoke size,color,logo and so on.If you are interested in it, please advise the size you will in needed,and we would like to assist you to find the suitable tent you want.